You have authored or co-authored over 85 articles and book chapters and 15 books on Lean and The Toyota Way. 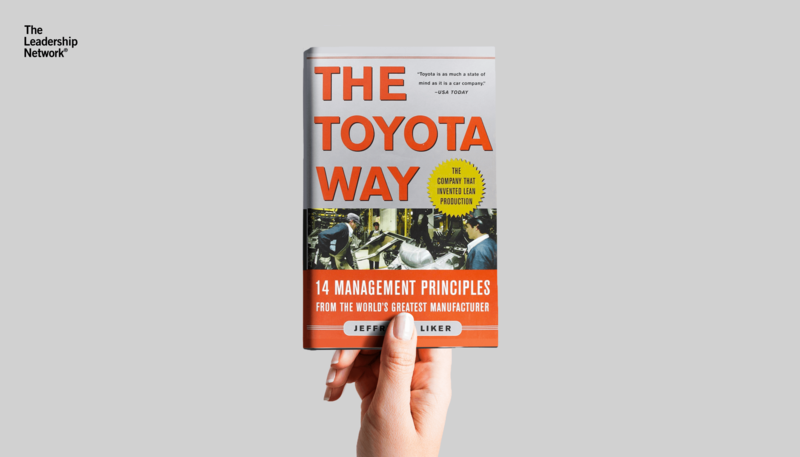 What motivated you to devote your career to understanding the Toyota Way and Lean? As a new Assistant Professor at University of Michigan I was involved in a project in 1982 comparing the US and Japan auto industries and at the time I thought all Japanese auto-companies were the same. They were so much better in quality, in lead time, in launching products on time, in overall operational excellence than any of the American automakers. As I spent more time interviewing and studying these companies in Japan I realized that Toyota stood out more than the rest, and the more I learned the more impressed I was with Toyota. They built a technical centre where they do product development near where I live in Ann Arbor, Michigan, so I would visit and do interviews. And repeatedly I would learn more about their excellence, including in partnering with suppliers, TPS in the factory, continuous improvement, working with little inventory, designed in quality, and even safety and ergonomics. In all these areas Toyota stood out from the rest. Over time I started developing a relationship with them. Then I started seeing what they were doing in America with their plants but also learning how they were teaching the Toyota Production System to other companies, even companies that didn’t supply Toyota. No other automakers were doing that. I was amazed by the transformation of these companies such as Viking Range (cooking stoves and ranges) which obviously had nothing to do with automotive, and New Balance, the shoe brand. Their businesses were literally transformed by learning from Toyota. So I got more and more excited about the technical changes, the enthusiasm of people, the way the operations developed a rhythm, the flow of product through the factory, and how everyone knew what they were supposed to do. It was like a symphony orchestra, with everyone working to the same beat, same music, and everything harmoniously. When I saw what was possible and the end result I would look back at traditional manufacturing methods and think they were terrible – so disorganised and chaotic. I always get my battery charged whenever I visit Toyota anyplace in the world. 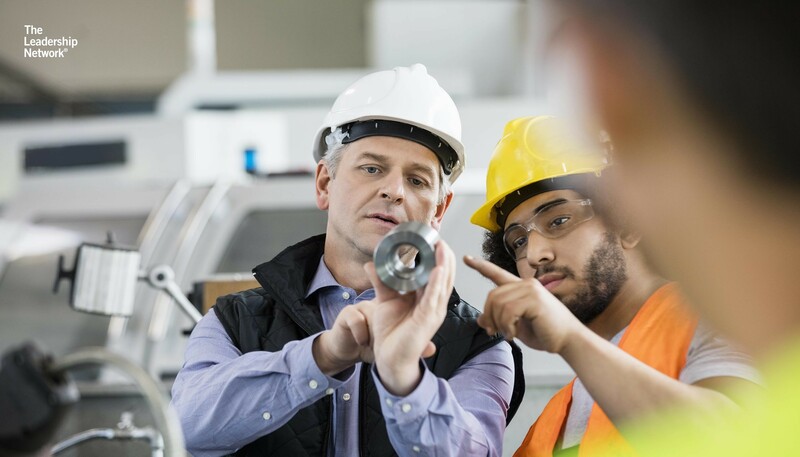 Did you dream of becoming a professor famous for Lean management when you were studying Industrial Engineering at Northeastern University, and then sociology at University of Massachusetts, or did you fall into this career path? I definitely fell into it [laughs]. As an undergraduate I was studying industrial engineering mainly because I was interested in studying people, social systems and psychology and industrial engineering was the only engineering discipline that included management. It’s sort of like the management programme of the engineering school. The reason why I was in engineering was because I wanted a job. It was practical; I didn’t have much love for engineering or even a lot of interest in engineering. Then I made the major life decision to switch and get a Ph.D. in Sociology. IN 1981, When I was looking for a job as a sociologist the job market was terrible. It was one of the worst recessions we had since the Great Depression. There was a job opening at University of Michigan in industrial engineering, looking for someone with a Ph.D. in social science. I got the job quite quickly. It paid better than the other jobs I applied for and it had a lower teaching load, so it was just a better job overall. So I decided in a way to switch back to industrial engineering, but with a Ph.D. in sociology and my research was in sociology. Then I started to hunt around for something to work on that was relevant to industrial engineering, but utilizing my social science skills and I was asked to work on the US/Japan project. At that time, that was just one of many things I was experimenting with to see what I was interested in. It gradually became my main interest after about 5 years. Can you tell us more about your experience working in academics? I was in academics as a tenure-track professor in the US. They call it “publish or perish” – you publish or you get fired. In most European countries you just do your job. You might study for your Ph.D. whilst teaching. In the US they call it the tenure clock. You get hired and 6 years later that time runs out and they assess you and decide if you stay or go. Usually, about 85% get fired. In my case, I had been very active as a grad student and I did a post-doc at Cornell and I did a lot of research and had about 8 publications in process or in good journals. A lot of people get tenure just for that. So my first year I just finished the papers I started, and then I could start exploring. And then I was successfully publishing almost everything I put out. So I wasn’t worried about being tenured, which is unusual. For most people – tenure is all they think about. They say no to lots of opportunities because it’s a distraction – they’re too busy writing papers and submitting proposals and so on. And in fact, mostly their not very productive – just worrying about it. But for me, I just sat at a computer and started writing. And then I was free to…play, with my wife. We had a lot of time together. It turned out that being an engineer with a sociology Ph.D. made me very attractive to a lot of people who wanted to team up with someone in engineering to do research. Engineers usually do research only on their own specific technical topics, and mostly they’re creating mathematical algorithms. But I just said yes to everyone if the project sounded interesting. 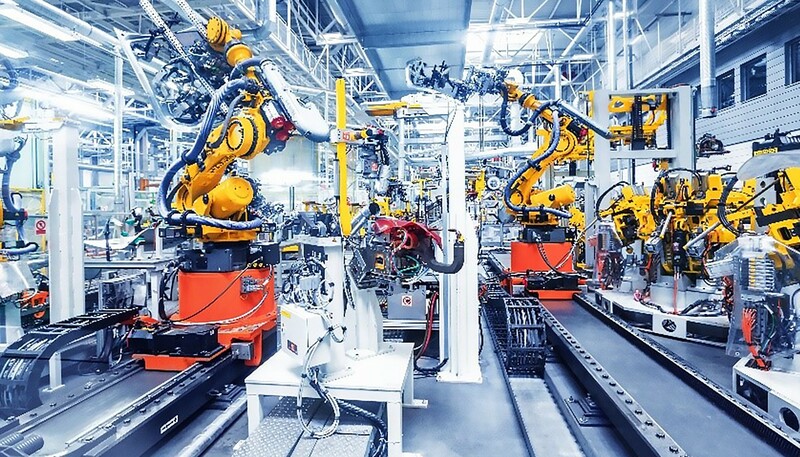 There was a Ford engine plant that was being transformed to a high level of automation, and there was a group that was studying the process of transforming the engine plant and how it affected people. There was another small manufacturing company that was bringing in the first computer-integrated manufacturing system to become totally automated and another group asked me to study that. The Japan study was another interesting project – they paid me and I got to travel to Japan. So I was sort of like a kid in a candy shop. Were you mixing with the other main Lean researchers at the time? No, the term Lean had not even been introduced. The Machine That Changed the World came out a couple of years later and introduced the term Lean management and I didn’t know a lot about it at the time. It was a big splash in the auto industry as auto companies were very interested in the data that showed how Japanese compared to the US and Europeans and its sponsors from all the major car companies. When I was working on the US/Japan study, that’s when MIT researchers were also working on their study that led to The Machine that Changed the World. Then I started working with auto companies as a consultant and that’s when I really became more interested in Lean and The Machine that Changed the World. For example, I had an opportunity to consult for Ford along with John Shook who came out of Toyota and Mike Rother who had been my graduate student. They both came to work with me at UM o the Japan Technology Management Program and the three of us worked to help Ford develop the Ford Production System modeled after the Toyota Production System. It was like a Think Tank with a bunch of people trying to figure out the Ford Production System. And there were a lot of people who came from Toyota to work as consultants so I was surrounded by people who were interested in TPS and how to implement Lean at Ford. But Lean at the time was just a word invented by Jim Womack and Dan Jones. I had been studying Toyota and not Lean and the Toyota people were somewhat critical of the interpretation of TPS by academics. Why were the Toyota people unhappy with the interpretation? Toyota people had been brought up with it. They were trained by the students of TPS’ founder, Taiichi Ohno, by the very best. So they grew up learning from masters and what they learned is that it was a very organic, bottom-up process of developing people and developing a system and bringing it to life. Toyota often uses analogies to nature. A Toyota veteran, Gary Convis, who co-authored with me The Toyota Way to Lean Leadership, uses the analogy of a greenhouse and in the greenhouse, there are lots of different types of plants. You need the sun, the light, water, soil nutrients and all the conditions need to be just right for the plants to grow. All plants have their own individual needs so you need to really understand all of the complex interactions at play, all the different plants and what they need. The image is a growing, living system. Most Americans interpreted TPS as a more technical system, like doing “just in time” and adding making standard worksheets and changing the schedules of suppliers so they can deliver component many times a day, and you make the workplace visual and colour code things. So they saw these superficial features and missed the principles, systems, and philosophies that are the foundation. The Americans would see Toyota factories and copy the way it looked physically, without understanding the deeper culture, the way of thinking, and what really makes the Toyota Way unique. The Toyota Way is a growing, living thing, not a set of technical tools that you can copy. Of course, being in industrial engineering, I would spend time with industrial engineers who would pick up Lean and their perspective was that it was just another word for industrial engineering. They thought it was just rediscovering Industrial Engineering in Japan and bringing it to the United States. And they would think, "we’d been doing some of these things for years: standard work, stopwatches, we know all that stuff and we know how to schedule systems and optimize flow." They could not see the difference. But the difference was like night and day. Was that partly what motivated you to specialise in the Toyota Way and the people side of Lean, because you were seeing so many people getting it wrong? That’s a good point. I could definitely sense that I was learning something very different and important. Dr. Edward Demming calls it, “profound knowledge”. I was gaining this “profound knowledge” with the people at Toyota and I was comparing it to what I was hearing about Lean from other people and there was a clear gap. So I did have a passion to spread the word about what TPS is; that’s why I wrote The Toyota Way. The other thing was that I studied sociology and psychology because I realized I was less interested in the technical side, and more interested in people and how they work together in social systems. But then I went back to industrial engineering and found Lean blended social sciences and engineering. And even the engineering part was really interesting. Even the concept of ‘Just-in-Time’ is really a concept of collaboration across every part of the system, where everyone has an obligation to provide the customer with exactly what they need, at the right time, with high right quality. So you have to develop a social system that supports Just In Time. The Just-in-Time concept is very simple – it’s not global optimisation or non-linear systems - it’s somebody sending a card when they are running low on a part that says “make 10 of these and put them in a box.” But this simple system gives control, local control because it’s really just between me and the customer. I have to serve my customer and I understand the system. I know exactly what I’m supposed to do. Doing it is the hard work, maintaining quality and consistency, but then when it works right it empowers people. Whereas most traditional approaches to scheduling and control do the opposite – you’re just following a schedule and no one is empowered. And usually the schedule is wrong. In this scenario, if you ask: “Why are you making this number of units? Why are you making this instead of that? Why are you making this one now?” The employee would take out a computer print out and say it’s on the schedule. And if you ask how the schedule came about, they’d tell you it’s from IT. Whereas in the Toyota system the supervisor is like the managing director – she understands everything. So I found the concepts of teamwork, empowerment, and leadership very interesting, which then made the technical systems more interesting to me. In an elevator speech with a CEO, how would you explain what Lean management is and why they should adopt the philosophy? Lean starts with the customer and understanding what your customer needs and how you can add value to them. Then you create an entire system of people, systems, technology – a whole system with one purpose to flow the best possible value to the customer. Then I would ask them if they believe that if they walked up to a random employee and asked about the customer – Who they are? What do they expect? What they’re doing right now to improve customer value? Would the employee have a good answer and really know why they are doing what they’re doing, how they’re serving the customer and why they are working on what they’re working on right now. If the answer is absolutely then that company is already Lean. But almost certainly they’d get terrible answers. They’d say “this is what I was trained to do” or “This is what my supervisor told me to do”. They wouldn’t know why they are working on this right now rather than that right now. Purpose seems to be key to creating these conditions for collaboration, but it’s not something you can just drum into the workforce. How do the best companies create that unified sense of purpose across the floor? Part of the problem with this whole idea of purpose is that many CEOs and executives think that means they have to be persuasive and compelling, personally. You may see articles written that will criticize the company brand or politician who couldn’t articulate their vision effectively. And we look back to historical figures such as Winston Churchill who could always articulate their vision. I think the key word there is articulate which means say something, speak. So the executive thinks my job is to speak and to say inspiring things that get everyone excited, like a political rally. But we are interested in day-by-day operational excellence, not temporary excitement. Having a mission statement is useful. There are plenty of examples of powerful mission statements and examples of terrible ones. But once you have it on the wall, on everyone’s business cards, it starts to fade out, they’re just words. And then there is a gap between mission and reality, what does the boss do at that point? When you’re producing and you have a product that’s very profitable and another that’s not, but the less profitable product has a very loyal customer base, and resources are tight, then how do you prioritize? Is it just based on profits? Is customer satisfaction a real value? Employees see these contradictions and then write off the mission statement. That’s not real; that’s not how we act around here. So what matters is not what’s said, it is what’s demonstrated. It’s not just the CEO, it’s your boss. So that means you need a culture of people at all levels who identify with something more than themselves, with some purpose, and that is translated into their daily behaviour which you as an employee see and experience. That’s the difference. If you go to the website for Four Seasons Hotels on TripAdvisor, you’ll see the employees do fantastic things for their customers without getting permission from their boss. For example, a customer went fishing and asked a luggage handler what he should do with the fish to keep it cold so he could take it home tomorrow to clean it. So the porter came over and said he would take care of it. The guy came back to his room and saw the fish had been cleaned by the chef and it was nicely laid out in an ice cooler, all sitting there and waiting for him. That porter has a good idea of what his purpose is and what it means to satisfy customers. It’s going above and beyond what anyone would reasonably expect, but he had the power to do it. That was the original vision for the Four Seasons, the founder wanted to build the best hotel in the world for customer service and in order to do that he needed everyone – whether it’s the housekeeper, to the waitress, to the front desk staff – to feel like they are representing Four Seasons when they deal with the customer. That was the culture he built from the beginning and remarkably it has worked, and for decades. The founder didn’t know anything about Lean, but he probably knew a lot about Leadership and Purpose and Customer Orientation. It’s a luxury service so they charge a fortune and make a fortune so they can do these extraordinary things. Obviously, customer service will look different in a retail chain that’s known for value or a car company that has razor thin margins, where the customer has different needs and expectations such as efficiency and getting things done on time, quality and safety. So it is possible for different companies to behave very differently yet equally put the customer first. Another part is measuring, but not just throwing out a bunch of key performance indicators. It is measuring with purpose. And you need to convert purpose into measures that are meaningful at all levels. If you’re in an assembly plant assembling cars there are certain measures that reflect customer value. For example, reducing the number of defects per 100 or keeping to the rate of customer demand (takt). I often see in non-Lean companies that there are standard key performance indicators throughout the company. But customer satisfaction, safety, efficiency, and quality will take on very different meanings in the IT department or purchasing department. Yet everyone is measured the same way. The reason is control. The CEO feels comfort knowing he can look on his computer and know how anyone is performing and know which departments are doing better than others. The problem is that customers do not care about how much control the company managers have. They care about getting a high-quality product that meets their needs when they want it. To get that each job function needs to be measured in a way that reflects how they are doing on cost, quality, and delivery to their customer. So you need to measure the right things for that job function and also the right things for what they are trying to improve. So if you don’t have a clear vision that’s inspiring and distinctive, if that’s not translated into processes and measures that deliver a better and better performance, then an employee can be inspired by a great speech but still not know what to work on to improve how they do their jobs. Many people believe that the principles of Lean production and management are the most effective path to excellence. And yet, even true believers find it difficult is to successfully adopt them. Why do you think this is? Do you think it’s because companies are so impatient to go through the organic process to become Lean that they’re inclined to copy another system and superimpose it on their own, or are there other things at play, too? That’s probably the biggest reason; the impatience. If we think of the organisation like a big machine that’s trying to pop out money and that’s what I’m looking for, then I want the quickest way to get to that. When you’re dealing with people and big groups of people in particular, you need patience. If you’re by yourself and you have to decide what to do with the day, it’s very easy. But if you’re at a family gathering, everything slows down. But I believe, as Toyota does, that taking the time to invest in people, developing culture, developing technical and social systems so we have a high level of capability and making that investment upfront will allow companies to execute better, faster and at a lower cost. Toyota is willing to make that investment because many times that that investment pays off ten-fold or even a hundred-fold so they’re willing to make the investment. It seems most obvious to the leaders in Japan who have experienced it for almost 100 years and experienced it overseas for over 50 years. When the Great Recession hit in ’97 Toyota didn’t lay off anybody, even in plants where their sales were cut in half. They would lay off temporary labour but not long-term labour. They had twice as many people as they needed but they all came to work and they’d work on improvement and they created “classrooms” throughout the plant and every group leader became a teacher. They didn’t have a big enough lecture hall to teach thousands of people, so the supervisors got flip charts instead of powerpoints and the production area became a classroom. To the Japanese that was very natural. If an American company did that it’d be a huge deal. They’d think how can we teach these people? We aren’t teachers? And for Americans they would think it was a big waste of money. I would hear, “we used to sell 10,000 units a month and now it’s just 5,000. We had to lay off people. We had to minimize the losses.” And I would listen to them and sometimes nod my head, but I was thinking to myself: Who is forcing them to lay off people? Why do they have to do it? Toyota had the same problem, but didn't lay off anyone. And guess what. Nobody made Toyota lay off people even though they are a publically traded company. They had a choice. But you can’t teach what you don’t know. And the problem is that many managers don’t know how to improve anything and don’t have systems they can teach, such as how to change the takt. For example, in Toyota, every single job on that plant changes when the line slows down. So everyone will be busy for a month in order to slow down the line. There were a lot of slowdowns in the recession. One of the things I love about Lean is how the core concepts transcend automotive manufacturing and can be used by anyone in any situation to solve problems and reduce waste. 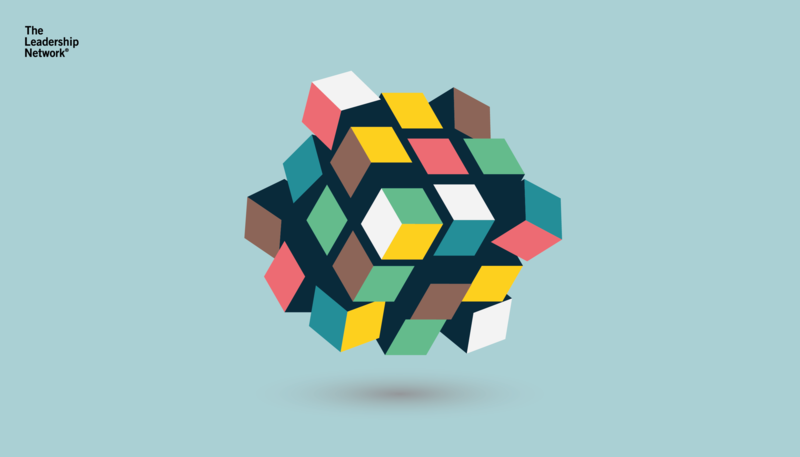 What has been the most surprising form of Lean thinking you’ve come across to date? My student and I have worked with a company in Ann Arbor called Zingerman's. It's a food company in Ann Arbor where I live. It’s a food company that started as a delicatessen, it started selling high quality, gourmet foods from around the world. Then they started branching out to make their own gelato, coffee, baked goods, candy, and more. One of the businesses they started was a mail order to ship all these great foods around the United States. So for the deli they will send you the ingredients in chilled packaging and instructions on how to make a sandwich. One of my Ph.D. students taught them Lean. They went wall to wall in the warehouse creating a lean flow of materials from warehouse to the customer. They also greatly improved customer service in the call center. At first, they thought Lean was impossible because they had so much variability including selling half of their volume in just the two weeks before Christmas. Concepts like one-piece flow, building to takt, leveling the schedule seemed impossible. But they are doing all these things. Results included staying in the same building for the last 10 years after moving every few years because they “outgrew” the facility because of all the excess inventory they had. A hot seat where the first call goes to the person in that seat. They take the first call, then the second call, if they are busy, goes to the second seat position, etc. In the meantime, if you are not in one of the hot seats you are freed up to work on ancillary tasks like processing credit cards and updating metrics. They also have an electronic dashboard in real time with key metrics meaningful to this group that show who is busy, who is on the phone, how long they are waiting, how much volume they have done versus target and even the moods of the callers. You now have a long history of working with Toyota and they openly share so much with you. How would you describe your relationship with Toyota? How has that relationship changed over time? Toyota’s culture is based on relationships which build over time. First, it was a matter of establishing trust that I could really listen and learn and add value by writing in my own words my interpretation of what I learned. When The Toyota Way came out in 2004 my relationship elevated. Eiji Toyoda, who as president brought Toyota from a local Japanese company to a global powerhouse, asked all leaders to read my books because “it is what we should be, but better than we are.” The book also led to many interviews with me in key newspapers and magazines in Japan which got a lot of national attention. So Toyota people thought of me as famous. I was even asked on many occasions to present my view within Toyota. That book opened all the Toyota’s doors to me and they said I was “the public face of The Toyota Way.” When the recall crisis hit in 2008 I was the only public figure arguing it was overblown and mostly untrue and I wrote Toyota Under Fire. Toyota President Akio Toyoda is still very grateful and meets with me when he can. Toyota has a long memory for those who they trust and who help them out. This is why I could get special access to the Toyota UK plant for the leadership network course. When working on new books or masterclasses with The Leadership Network, how do you ensure your content and training experience is meaningful and helpful? Have you developed your own processes to deliver customer value and minimise waste? To be honest I often do one-off seminars and I am not always happy with the results. In the earliest 3-day workshops I was not satisfied with my performance. Fortunately, we got a lot of useful, and critical feedback and I went through it with The Leadership Network and made some large changes up front. Then the course got much better evaluations and people left with inspiration. Each class leads to detailed feedback that I discuss with The Leadership Network and we agree on what we can improve. The same is true of the Toyota tour and they want critical feedback even when the reactions by delegates are overwhelmingly positive. Through improving each session, workshop by workshop, my days in the seminar room and the Toyota Tour have gotten much better. I would say that each time there are fewer powerpoint slides and more exercises and discussion within the class. I still use powerpoint for graphics-visual aids which I believe are very helpful. Why do you think training at the executive level, particularly leadership development training, is critical for business success? Why do you think businesses often overlook learning and development at this level? It would not be honest for me to claim that three days with me and Toyota will transform a leader into a master Lean leader. One of the main points of the seminar is we learn iteratively by practicing what we are taught—understand basic concepts, quickly put them into action, get corrective feedback, and repeat, repeat, repeat. This cannot be done in a classroom setting. So I view my role as raising awareness of what the leader needs to learn and hopefully inspiring then to go learn it at the workplace. The main problem with Lean we discussed at the beginning of this interview is a short-term perspective—take an action, get quick results, and repeat, repeat, repeat. This is very different from the quick cycles of learning needed to change behaviour. A lot of the course is based on Toyota Kata. Kata are practice routines which, with daily coaching, will develop positive behaviour patterns. There is no quick fix anymore then I can quick fix anyone’s eating and exercise habits in a seminar. It is hard work and requires patience and commitment. Toyota makes that commitment. Great companies like Four Seasons Hotel that are very customer-focused make that commitment. The average company does not really understand or believe in leadership development and will not make the investments needed to develop exceptional leaders at all levels. What are your passions and interests outside of work? What do you like to do in your free time? Does your family know as much about Lean and the Toyota Way as you do? I have three main passions which I focus quite a bit on, like I recommend companies do with Lean. First is my family and I am always trying to be a better father and husband and family member—hard work. One thing I learned about good family relationships is not to try to tell people how to make their work more efficient using lean concepts. Second, I started learning pop guitar from age 13 to 29 and then stopped when I was hired at the University of Michigan for 30 years. I started again seven years ago but this time taking classical guitar lessons weekly. I even have a travel guitar so I can practice in my hotel rooms. Third, I play golf. I started when my son was about seven—I never played before. And got hooked. When I am not traveling, in the six months where the weather is okay in Michigan, I play 2-3 times per week. I would not say I am great in any of these three areas of my life but I am committed, work hard, and try to improve. And even have a little fun along the way.